Ethiopia National Learning Alliance members (photo credit: ILRI/Bethelhem Alemu). The Sustainable Agricultural Intensification Research and Learning in Africa (SAIRLA) project is a five-year (2015 to 2020) initiative that seeks to generate new evidence and design tools to enable governments, investors and other key actors deliver more effective policies and investments in sustainable agricultural intensification (SAI). The initiative is working to strengthen the capacity of poorer farmers’, especially women and youth, to access and benefit from agricultural intensification. 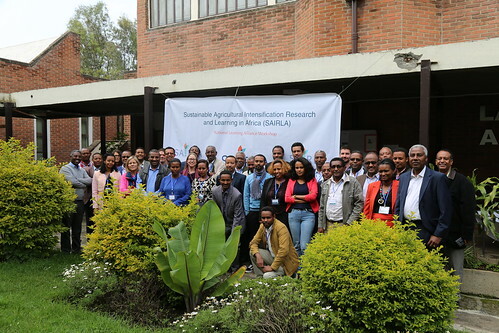 On 27 June 2018, 55 members of the National Learning Alliance (NLA) of the SAIRLA project in Ethiopia met at the International Livestock Research Institute (ILRI) in Addis Ababa to discuss ways of enhancing understanding of SAI among NLA members in the country. The meeting also sought to build consensus on harmonizing the NLA with the policies of the Ethiopian government and to identify collective actions towards addressing strategic learning themes on SAI. This was the third meeting of the NLA in Ethiopia and it was attended by representatives from government, non-governmental organizations, the private sector, research institution, donors and bilateral organizations and the media. Siboniso Moyo, the International Livestock Research Institute (ILRI) director general’s representative in Ethiopia said the learning platform allows the SAIRLA projects and NLA members to share lessons from various initiatives that are working to enhance sustainable agricultural intensification in the country. She noted ILRI’s interest in supporting multi-stakeholder platforms in agriculture and environment research. She expressed hope that the NLA can be turned into a national platform owned and run by relevant development partners. 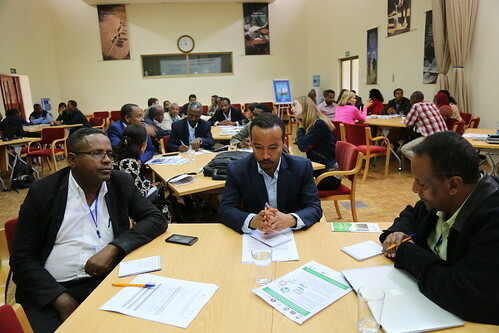 Womdale Habtamu, general director for agricultural extension directorate in the Ministry of Agriculture and Natural Resources and chairman of the NLA steering committee opened the workshop. He said that National Learning alliance for Sustainable Agriculture Intensification (NLA4SAI) would work towards aligning the NLA’s work with the policies and strategies of the Ethiopian government. 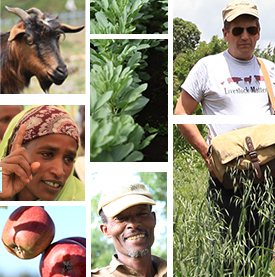 Womdale expressed the ministry’s commitment to adopt and build on research and learning on SAI to transform food production in Ethiopia including by among other measures, implementing the findings and proposals of the SAIRLA–NLA. At the workshop, lessons from two SAIRLA projects—Negotiating ecosystem service and livelihood trade-offs in SAI by the World Agroforestry Centre (ICRAF) and the Smallholder risk management solutions by the Oxford Policy Management, were shared alongside presentations from partners (including ILRI, the Food and Agriculture Organization of the United Nations and Inter Aid France) experiences in carrying out interventions in sustainable agricultural intensification. Group discussion on the institutionalization of the SAIRLA national learning platform (photo credit /ILRI:Simret Yasabu). Participants also discussed ways of making the platform more effective. They said the alliance members needs to a shared vision, objectives and values and that the NLA needs to incorporate more stakeholders, be well-facilitated and funded to create ownership and make it sustainable. Future discussions will set up guidelines on how and who will host the SAIRLA-NLA. The NLA is currently hosted and managed by ILRI which is responsible for implementing the alliance’s strategy throughout the project period and ensuring collaboration between the national partners. ILRI also facilitates and supports the national partners to chair the alliance meetings and institutionalize the NLA. The SAIRLA project is funded by the UK Department of International Development. It was launched in Ethiopia in March 2017. Tags: DFID, innovation platforms, learning alliance, SAIRLA. Bookmark the permalink. Previous post ← Happy New Year 2011 Ethiopia!